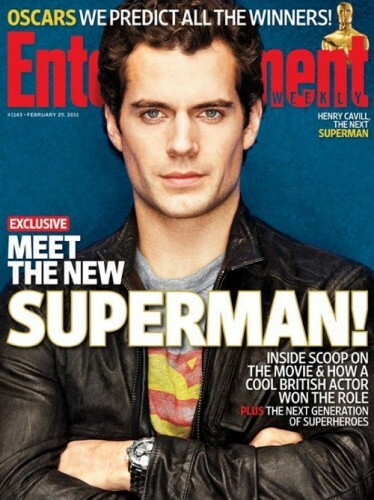 I went and picked up a copy of this week's Entertainment Weekly. I only get it if it has something I really, really, really, really want to read.... like details about the new Superman movie. I'm not a huge Superman fan; I don't read the comics or obsessively rewatch the movies. I don't even watch Smallville anymore. However, I do think this film has a lot of potential to be a good superhero flick. Here's why. 1- Henry Cavill is a good, hot actor. 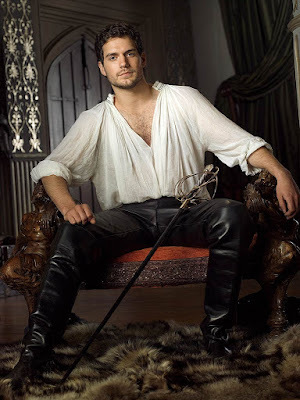 I may not be a Superman fan, but I am a Tudors fan. Cavill blew me away in that show. Not just 'cause I think he is pretty but he really takes a character to his full potential. He is due to skyrocket through Hollywood. I think he will bring tremendous talent to the character and the film. 2- With all of the Marvel flicks scheduled to come out, DC needs to remind people they still make films! And yes, I do know that other DC films are slated for release. Just not as many! Marvel just seems to be all over the place, with at least 6 films coming out over the next 18 months. Compared to DC's two films, no wonder why I feel like all I hear about is Marvel. DC, you have some of my favorite characters, get them up on the big screen already! 3- They need to blow the last so-so Superman out of the water. It will always be part of the Superman family of films, just not my favorite. This is the one time I really support a "reboot" of the franchise. Please give us a Man of Steel for this decade. 4- Christopher Nolan wrote it. Do I really need to explain this? Just head over to imdb and take a good look at his filmography. Enough said.